Cox's Garden was purchased in 1849 by Samuel George Cox, a professional fisherman, from solicitors Highett and Wickham who had acquired the land as a first remove from the Crown in June of that year. At that time the area in which it lay was known as Newtown (now North Williamstown). Between 1851 and 1853 Cox engaged builder William Pearson to erect seven two-roomed labourers cottages. By 1858 the various allotments and houses of Cox's Gardens had been sold and No.11 was puchased by George Morwick. The name of the street derives from Cox's use of the remaining land as a market garden. No. 11 has had two further rooms added to the rear at a later stage. The original cottage still remains with a symmetrically composed with a central doorway and multi-paned sashes on either side. 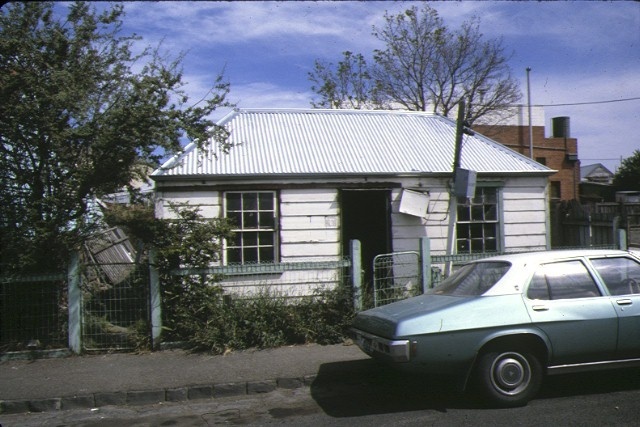 The original hipped shingle roof still remains in the front section under corrugated iron cladding. 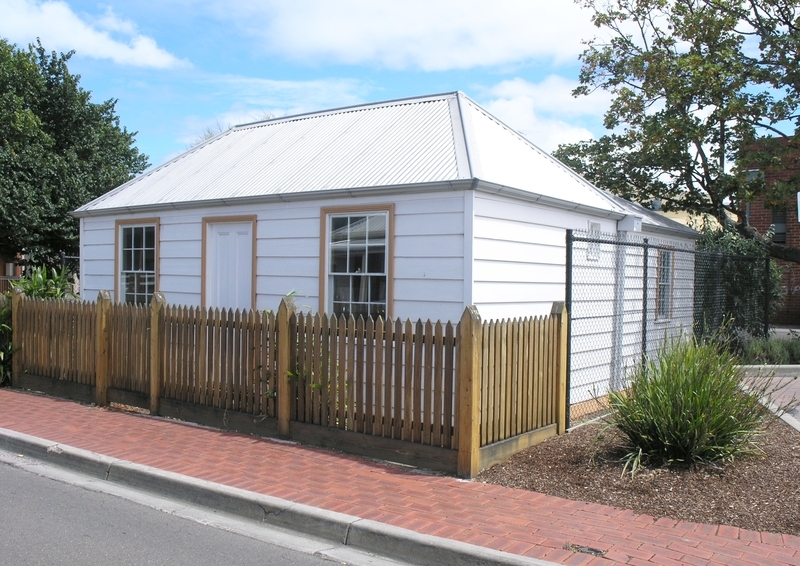 The timber frame is believed to have been pre-fabricated and the building is lined externally with 10-inch weatherboards. This house is one of the remaining examples of the original Cox's Garden development and as such formed part of an unusual nineteenth century housing development and is representative of "workers cottages" of the time. Historic Building No. 487, 11 Cox's Gardens, Williamstown.